Custom Expansion Joints, Inc. makes the best expansion joints :::: Custom Expansion Joints, Inc.
Those who buy and trust CEJ’s expansion joints know our quality and are 100% satisfied. Our expansion joints can be found in power plants, steel mills, paper mills, foundries, chemical plants, glass plants, asphalt plants and cement plants. Most importantly, no one else in the industry can claim reduced failure rate. 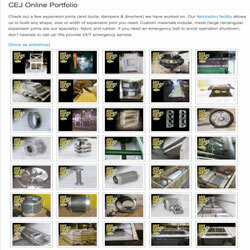 Many of our products have never failed, and have been in continuous service since 1987, all over the world. Our expansion joints are in service in many countries, including (but not limited to): Mexico, Canada, Europe, Russia and countries in South America. We continually conduct fabric testing for heat, caustic, acids, tensile, delamination and flexing. Our metal bellows are hydro tested before shipping. Thus, our CEJ Quality Assurance Program ensures excellent products and good a record system for repeat orders & replacement belts. CEJ expansion joints have the capability of absorbing large movement, are able to absorb torsion, and isolate vibration. Our lower design costs are cost efficient for large ducting systems. CEJ joints are resistant to high corrosion. CEJ joints are designed to withstand the host of corrosive gases found in flue ducting systems. 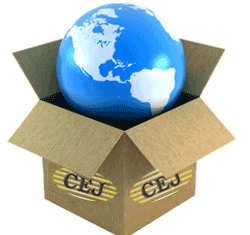 CEJ joints are superior in handling thermal movements, vibration isolation and help reduce mechanical noise.